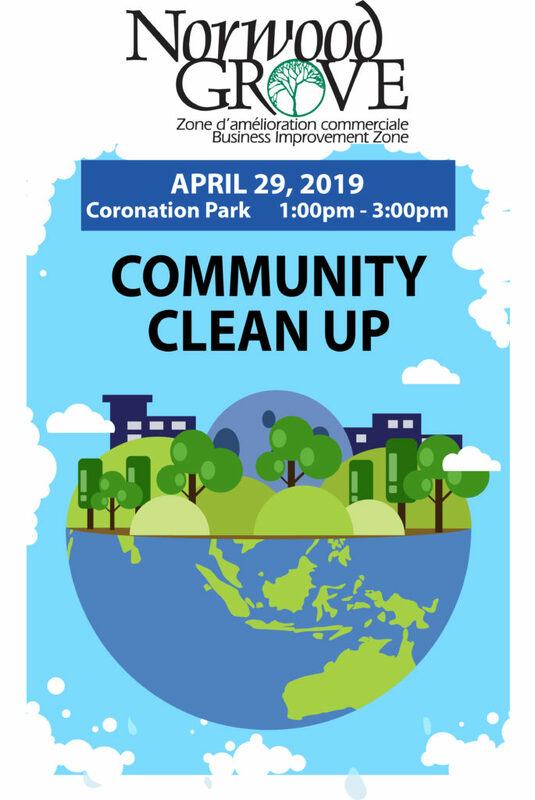 Join us April 29th 2019 as we ban together and do a little spring cleaning in our beautiful neighbourhood of Norwood Grove! Meet us at the Coronation Park Bandshell at 1pm for supplies and instructions. Please register HERE before coming. 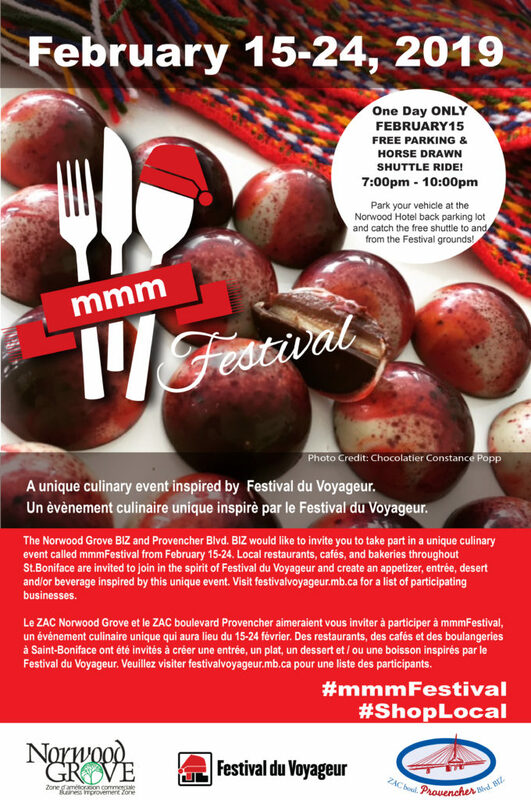 Savor the tastes of Festival du Voyageur during mmmFestival! A unique culinary event at cafes, restaurants and bakeries throughout St Boniface! Book a horse sleigh ride from the Norwood Hotel. Featuring a special event night February 15th where you can park and ride at the Norwood Hotel and travel in style on a horse drawn carriage ride! Marion Street Eatery, 393 Marion Street – Drink Special! Our Caribou Sangria for $7.00. Santa Lucia Pizza, 4 St Mary’s Road – Tourtiere Pizza: A generous layer of savoury tourtiere beef, house cut French fries, red onions, mozzarella cheese, caramelized onion gravy, finished with a drizzle of our signature pizza sauce. & Tourtiere Poutine: Crisp, house cut French fries double layered with savoury tourtiere beef, caramelized onion gravy and mozzarella cheese, finished with sautéed red onions. This gourmet poutine is a must try! & Black Walnut-Maple Old Fashioned (1oz) $7.75 Woodford Reserve Bourbon infused with black walnut and maple syrup. Garnished with our house-marinated bourbon black cherries. 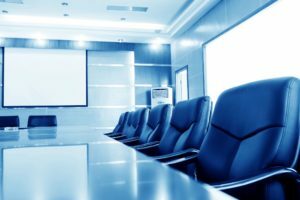 Please join us for our Annual General Meeting (AGM)! 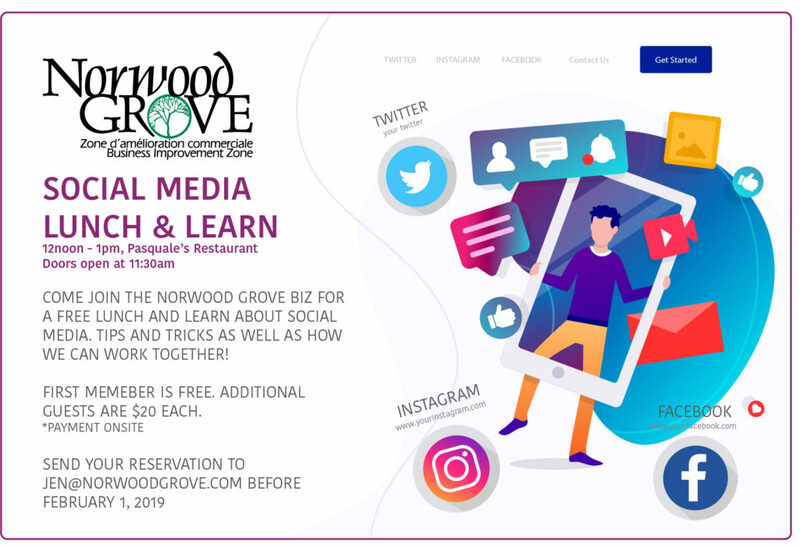 Learn about what we have been up to in 2018, what we have planning for 2019, vote on our annual budget and board of directors! 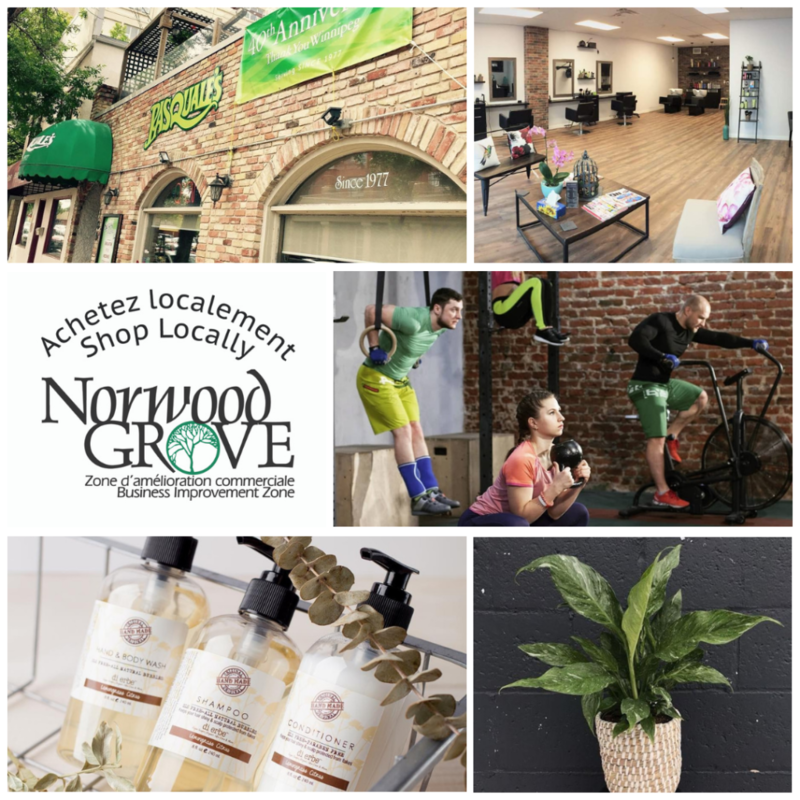 Only active members of the Norwood Grove Business Improvement Zone have a valid vote at the AGM.